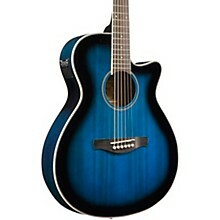 The AEG Series' slender, single-cutaway bodies, like the spruce-topped/purpleheart-bodied AEG8E acoustic-electric, deliver powerful and balanced acoustic sound, unplugged or through an amp or PA system. 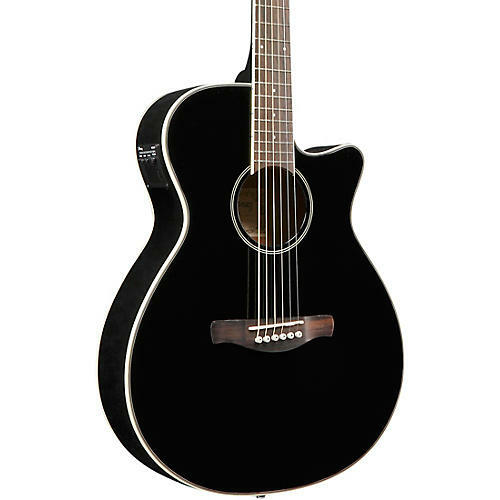 These guitars combine easy playability, classic solid and sunburst finishes and mahogany bodies with spruce tops to create a quality, workhorse acoustic guitar that will rise to any occasion. The Ibanez AEQ2T preamp with bass and treble controls provides the sparkling tones that sound great in any venue.